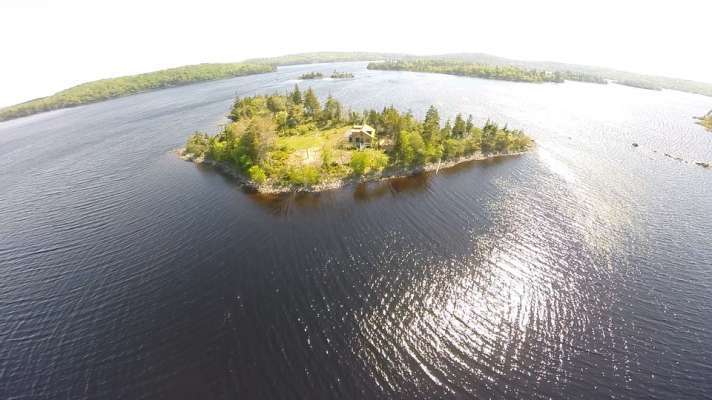 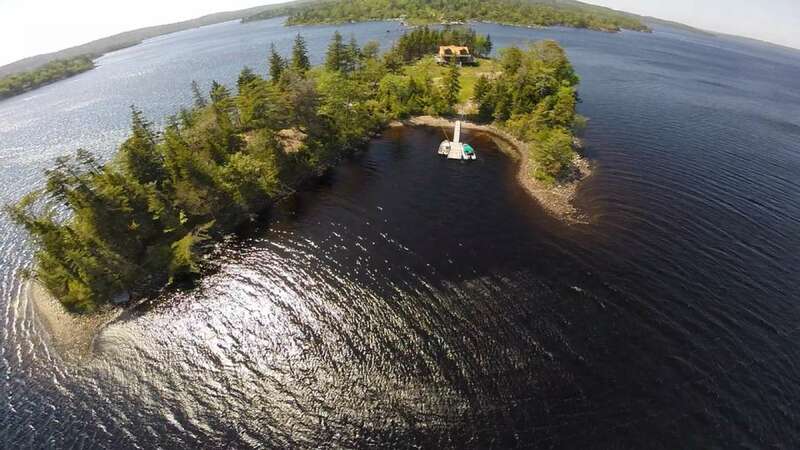 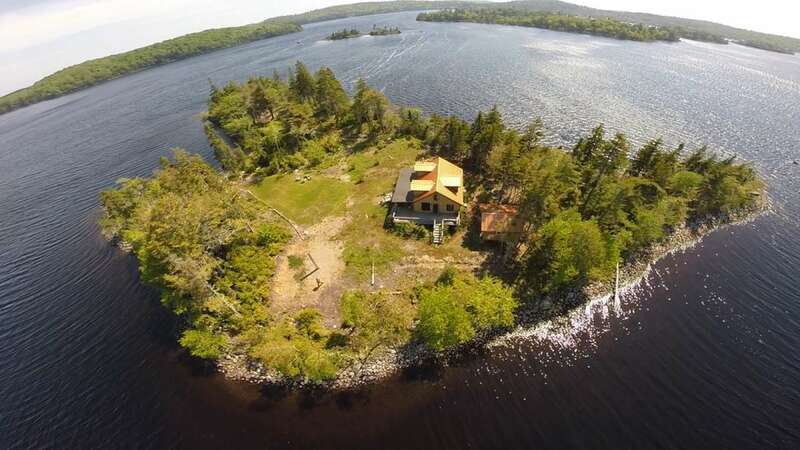 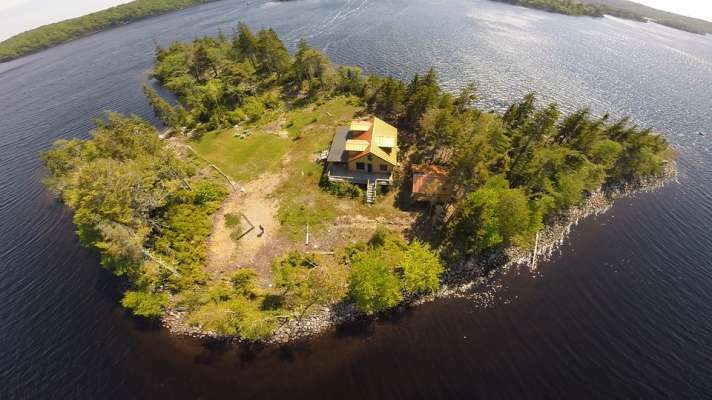 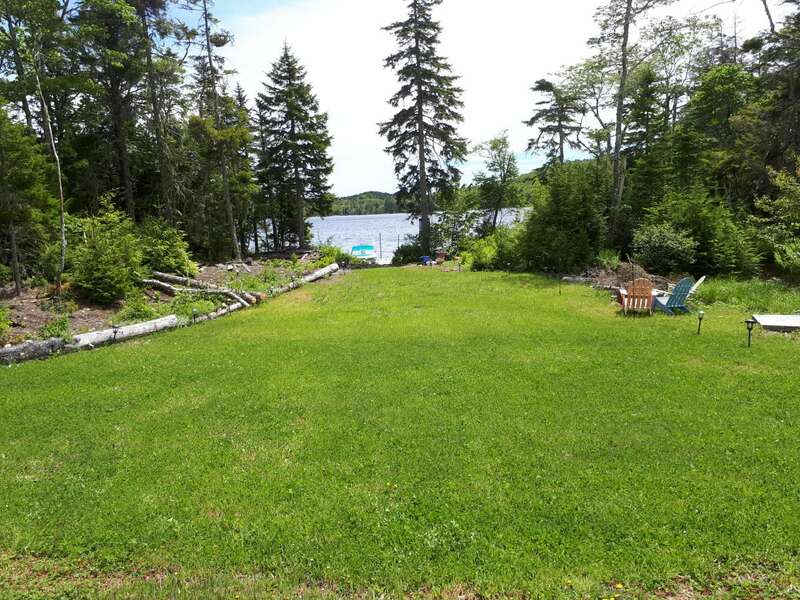 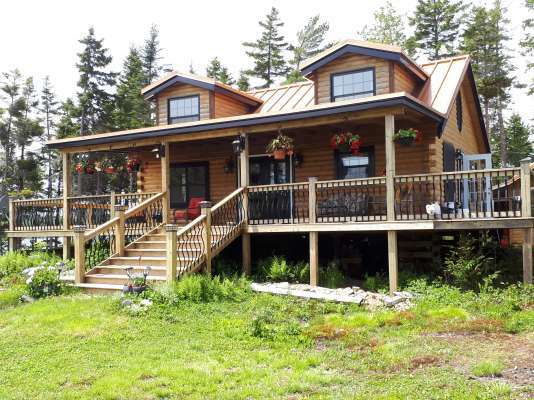 Give your family the summer vacation headquarters of their dreams with this beautiful log cabin cottage on a 2acre private island! 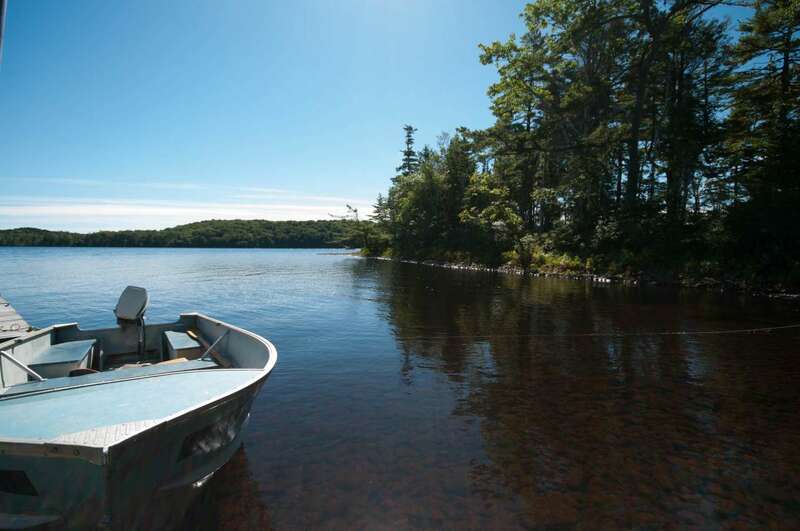 Launch your boat from the wharf at Webber’s Campground and set off for adventure. 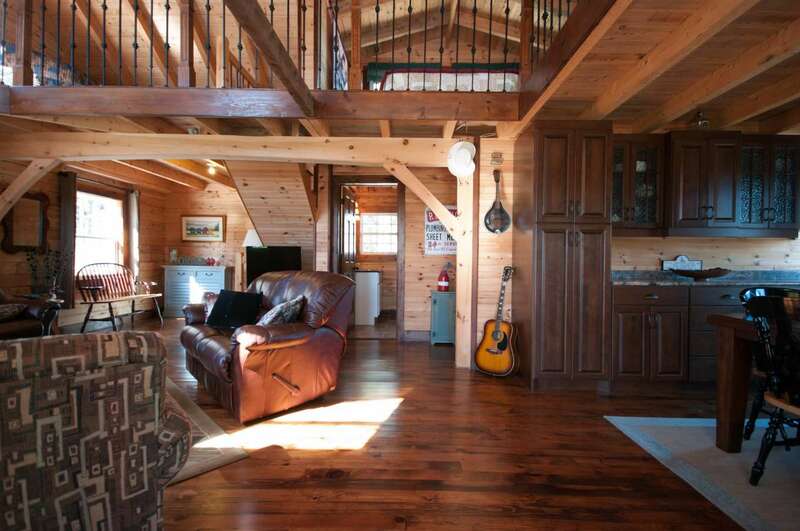 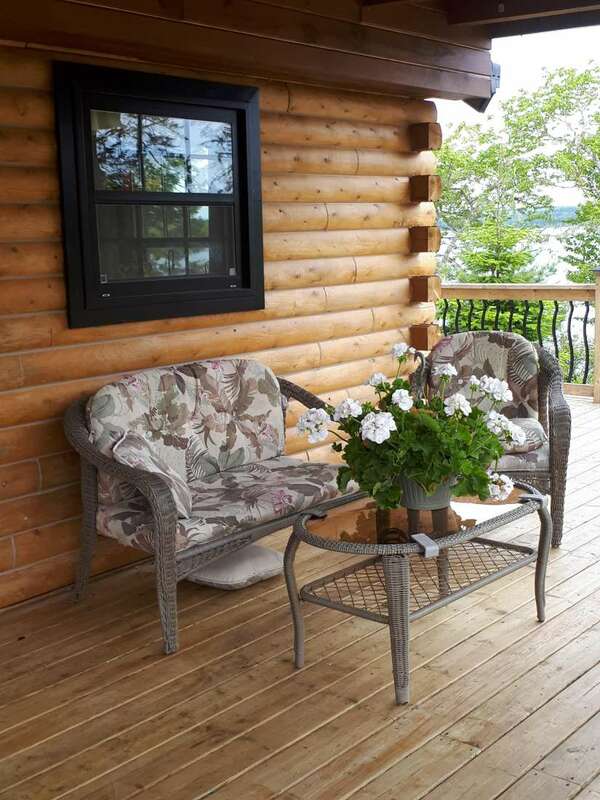 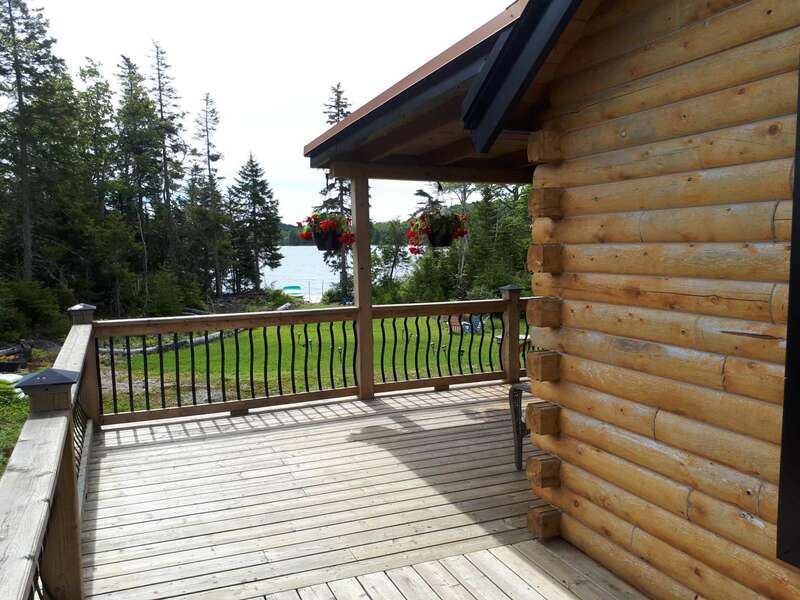 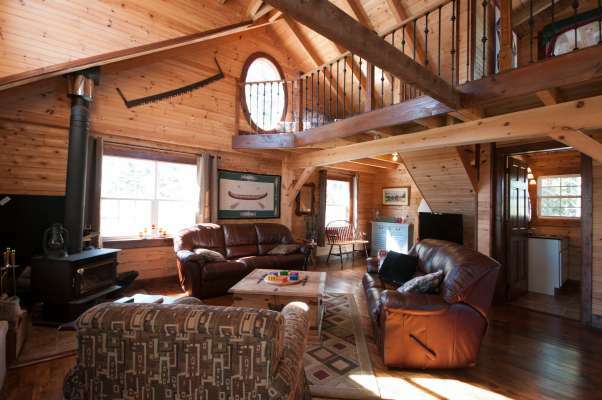 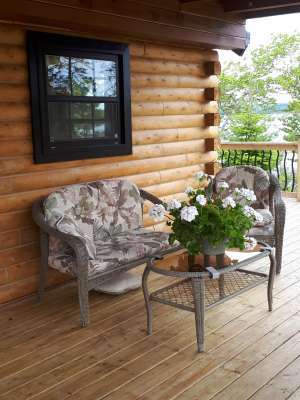 Arriving at the island you’ll dock at your private wharf, and find this charming log cabin nestled in the trees. 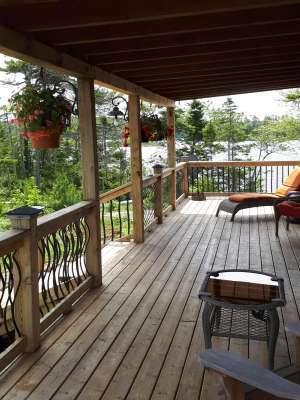 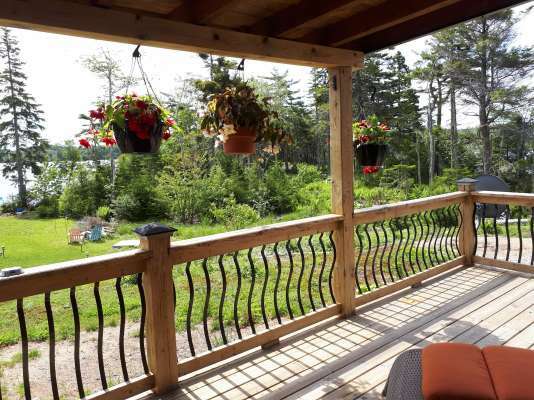 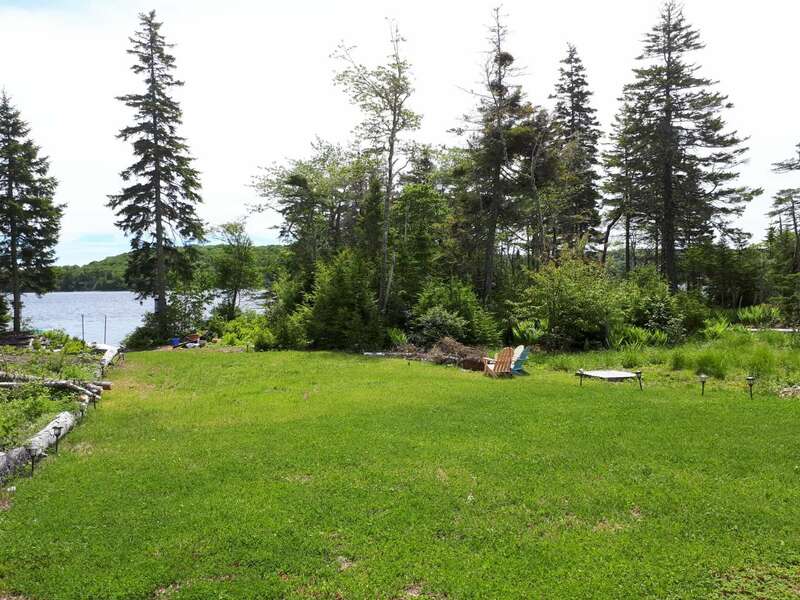 The cottage welcomes you with a huge wraparound deck, which is the perfect spot to hang hammocks & enjoy the lake views. 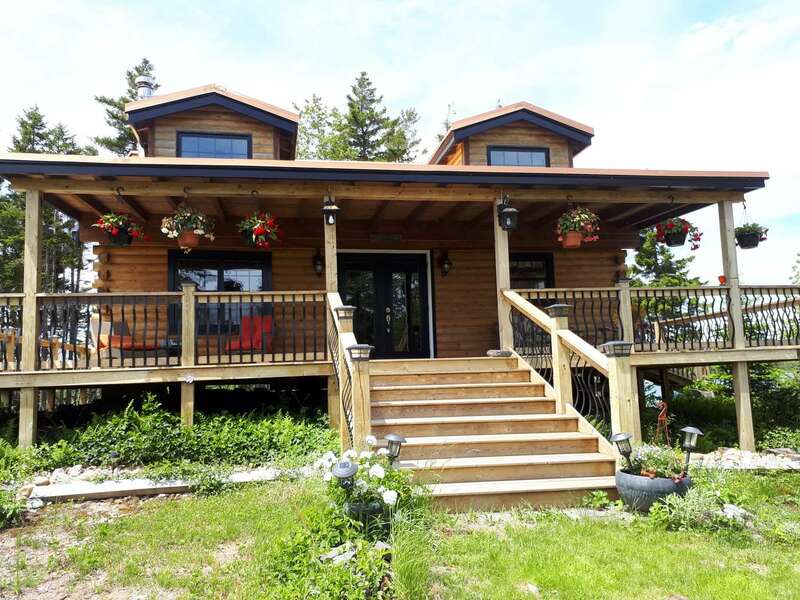 Inside you’ll be greeted by an open-concept main floor, with spacious great room (featuring cathedral ceilings! 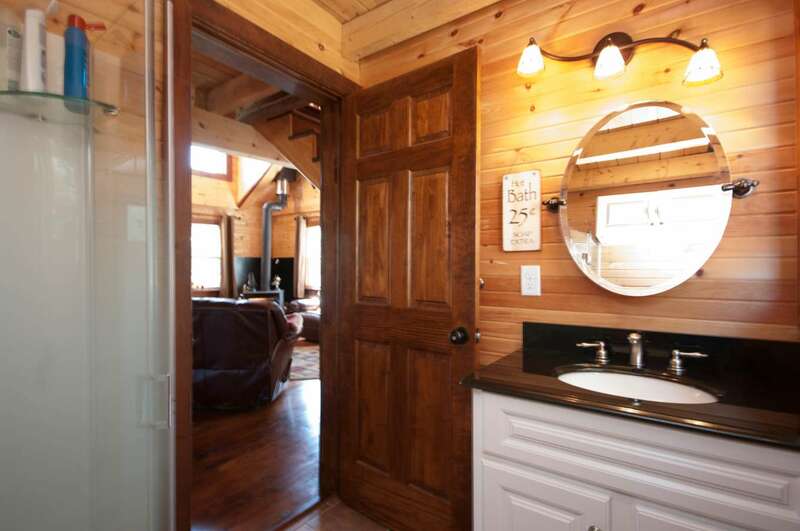 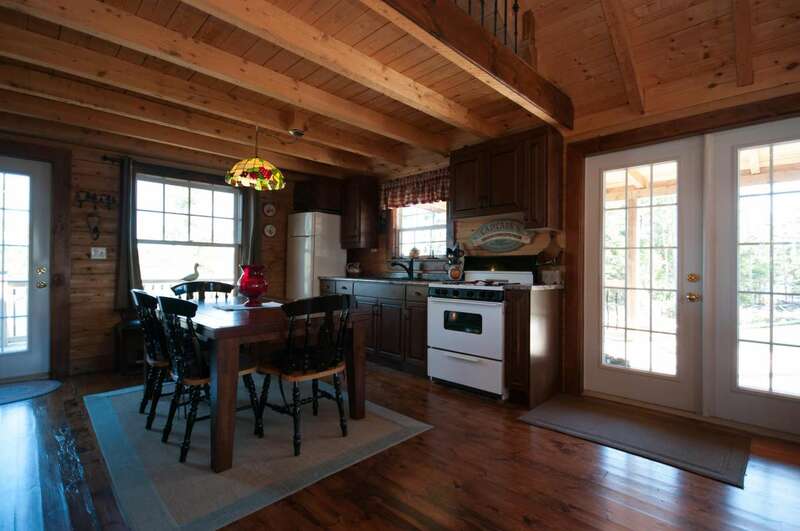 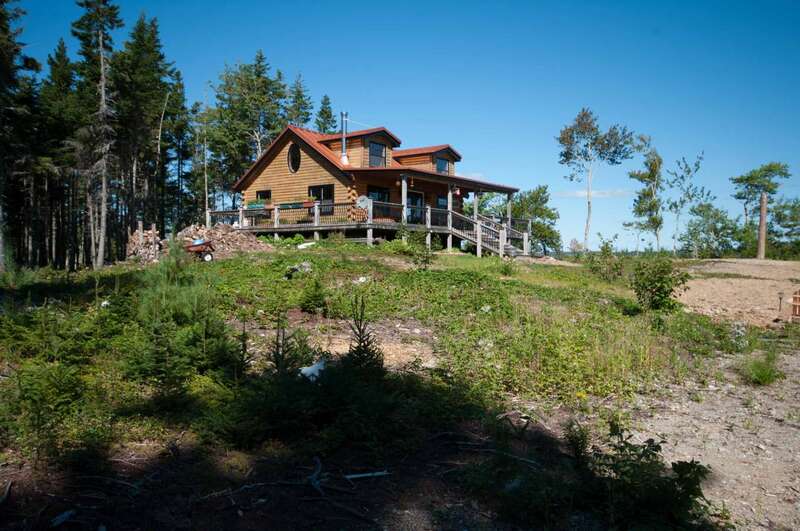 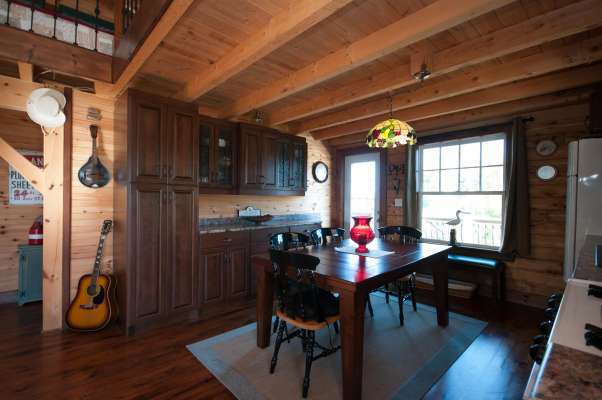 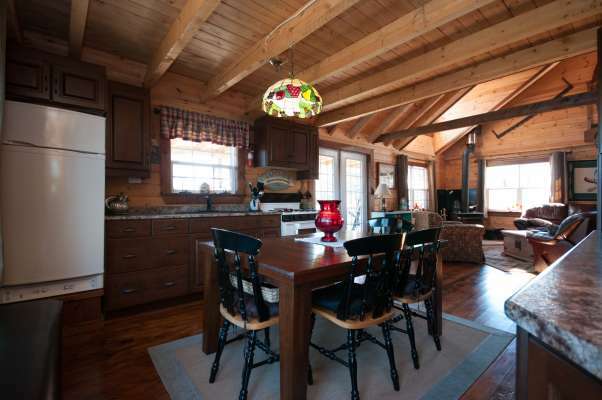 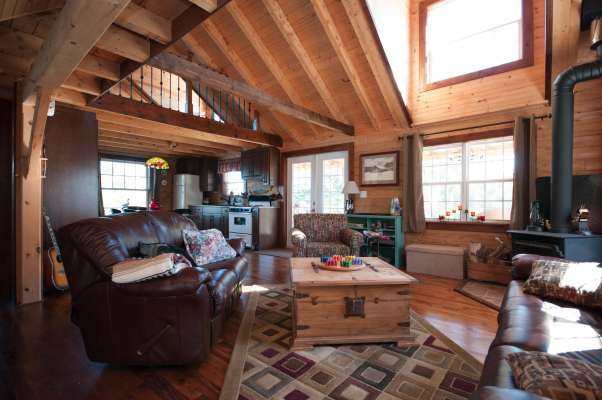 ), a custom-designed kitchen/dining area with propane-powered fridge and stove, a full bath, and main-level bedroom. 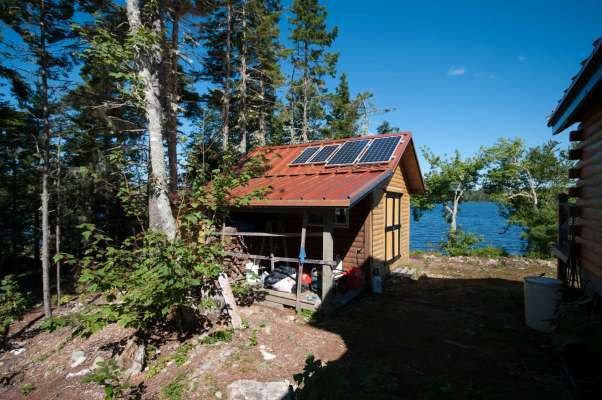 A woodstove in the great room offers cozy heat, & solar panels on the shed provide electricity & hot water (with a backup generator on hand for the rare rainy day!). 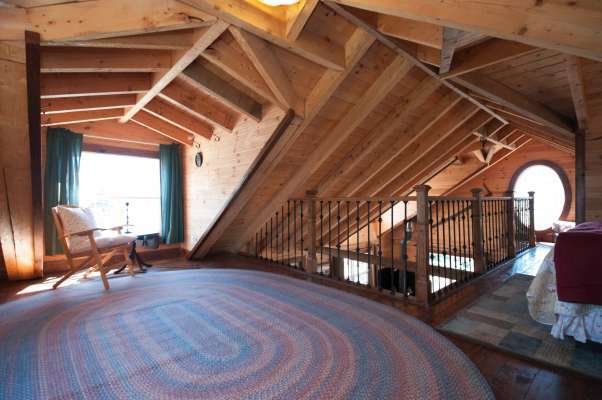 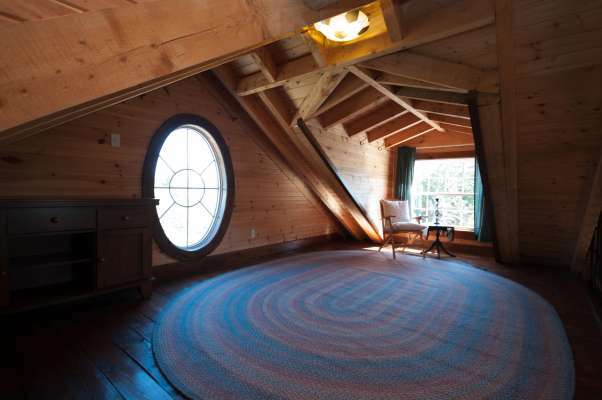 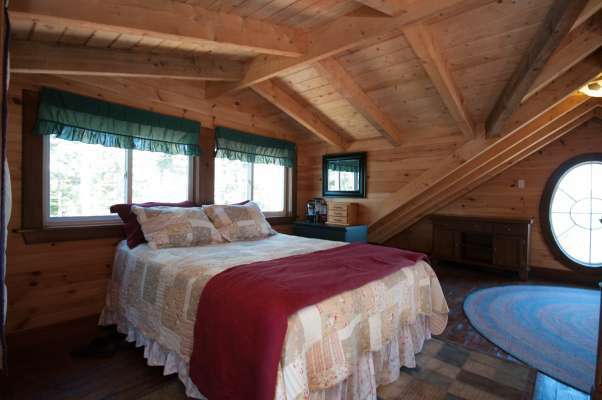 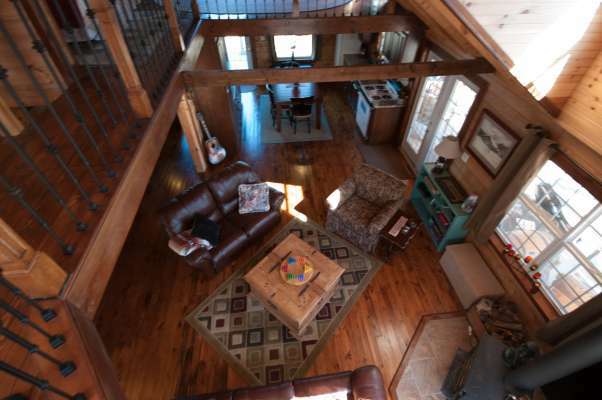 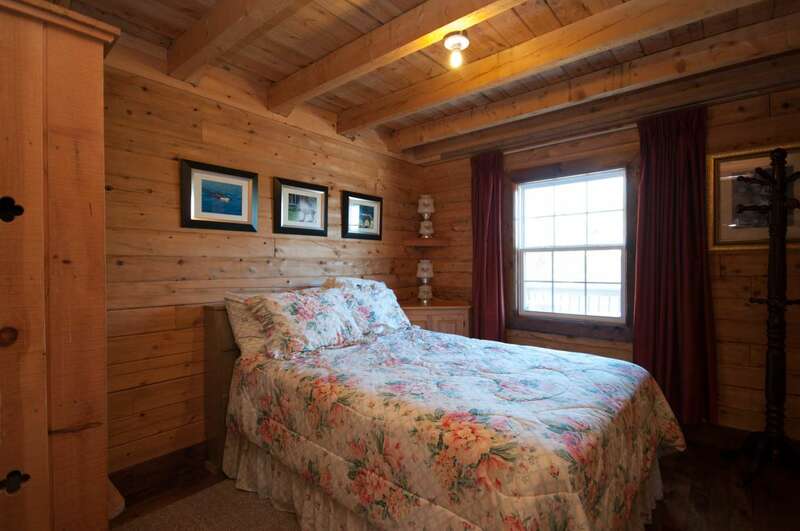 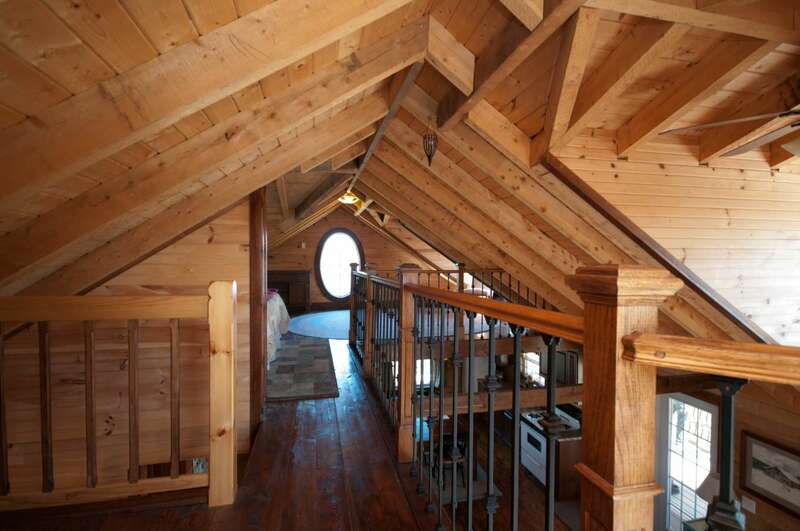 The 2nd storey loft features the master bedroom & a den, with tons of lake views. Porch has been recently pressurewashed and restained, and a new lake pump and pressure tank installed. 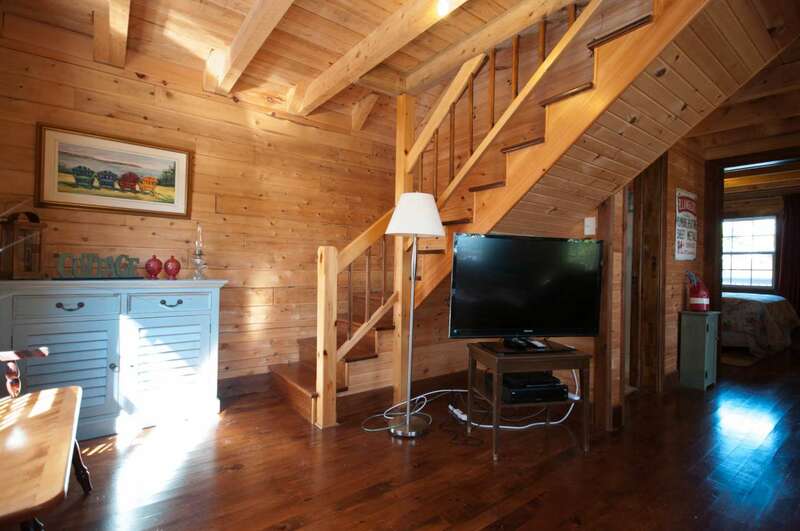 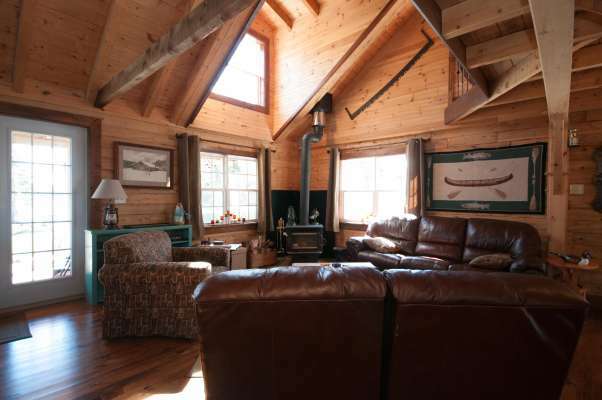 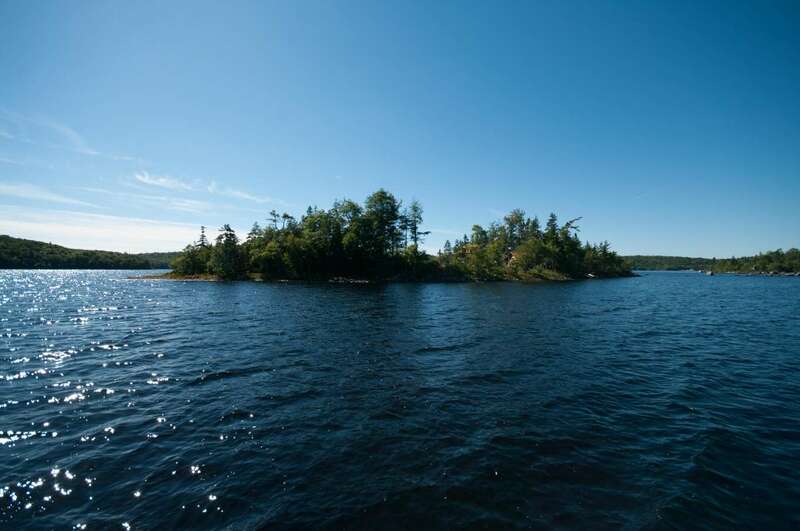 While away the long summer days on the lake & relax in this beautifully-appointed cottage. Inquire now to book your private viewing & start dreaming of the good life!